Marijuana can really mess up border and immigration issues for people who partake in consumption or participate in the industry, but that would change if a new bill being introduced in Congress this week is enacted. Under current U.S. laws, people who admit to past cannabis use or who work for or invest in marijuana businesses can be barred from visiting the country under certain circumstances. And marijuana consumption, even if it is legal under state law, can lead to an immigrant being deported. The new legislation, the Maintaining Appropriate Protections For Legal Entry Act, would provide exceptions for conduct that “was lawful in the State, Indian Tribe, or foreign country in which the conduct occurred” or that was “subsequently made lawful under the law or regulation of such jurisdiction,” according to a draft obtained by Marijuana Moment. The bill, known as the MAPLE Act for short—surely a nod to the leaf on Canada’s flag—is being filed on Wednesday by Rep. Earl Blumenauer (D-OR). And that’s a key exception. Several Canadians traveling to a cannabis industry conference in Las Vegas last month were detained for hours, with one investor being given a lifetime ban from visiting the U.S. While there is almost certainly not enough time for Blumenauer’s proposal to be considered and voted on by the end of the year, its language could easily be adopted into new legislation after the 116th Congress is seated in January. 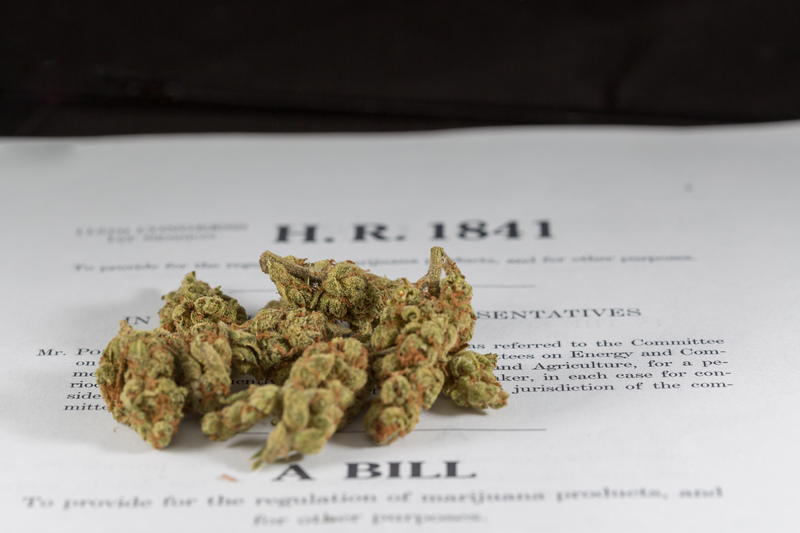 In October, the congressman laid out a plan for a step-by-step approach to federally legalizing marijuana in 2019 in a memo to fellow House Democrats.